Decades ago when I was a patient of a pediatric hematology/oncology practice in Boston, I arrived for an early morning appointment to find one of the nurses crying. I always wondered how the smiling blue eyes of my hematologist, Dr. David Rosenthal, never wavered or how the rest of the medical staff maintained such cheerful dispositions considering all the pale, bald headed children. At that moment, I saw that sometimes they couldn’t. A week ago, my dear client Lane died from liver cancer and I had my own "lost it" experience. Part of my devastation stemmed from my frustration with the cancer journey that is all too often filled with many unmarked roads, some of which can lead you astray. When I started working with Lane, the healthcare system had already failed her twice. Blue Cross and Blue Shield denied a scan that would later reveal her cancer. Then, her local surgical oncologist dragged his feet on removal of the tumor for weeks. By the time her family wisely brought her to Memorial Sloan Kettering Cancer Center (MSKCC) in New York City it was too late according to the compassionate liver surgeon, following a CT scan that demonstrated the cancer had spread. As her advocate, I had already worked out a backup plan—immunotherapy--and I had identified the top two liver oncologists at MSKCC for treatment. 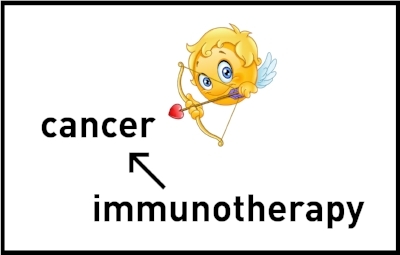 Immunotherapy, for those who don’t know, is the first new and meaningful cancer treatment that oncologists have had to offer since surgery, chemo and radiation and it has leap-frogged cancer treatment for many by significantly extending lives and, in some cases, curing advanced cancers. The trouble is that patients are most often denied this treatment until standard of care is exhausted. Using Lane’s case as an example, we had to overcome the requirement that she use and fail targeted therapy with Sorafenib before being considered for immunotherapy even though her local oncologist indicated he had only ever had two patients respond to this medication and he believed it was unlikely to help Lane. Then we had to obtain access because insurance denied coverage. Paying thousands of dollars in cash was an option at MSKCC when I inquired, but thankfully the two oncologists shared institutional knowledge leading to free access to the drug through Bristol Myers Squibb’s compassionate care program. Ultimately it was too late for this rescue treatment to save her. Throughout, Lane withstood tremendous pain to seek treatment and she never complained. This despite the injustice, disappointments, and ultimately the realization that she was leaving us. She couldn’t prevent the cancer from taking over, but she could keep anger from winning. Absent active management of your cancer care, you are vulnerable to wrong turns that can bring harm or worse--dead end your life. More than likely, your oncologist has your best interests at heart, but he or she may work for an institution that doesn’t have access to the most promising clinical trials, or maybe the oncologist is steering you to a particular trial because they are an investigator and need subjects or the hospital may have policies that prevent them from deviating from standard of care. So how was Lane able to receive a green-light on immunotherapy without having to jump through yet another low-odds treatment? Safe to say her access to this treatment would not have happened without a devoted family who had the forethought to look for a patient advocate when they knew they were in over their heads navigating Lane’s cancer care options. They hired me to break down barriers and I was able to identify and work with two dedicated oncologists willing to see past the rules. Understandably, many people lack the resources to hire an advocate or may live in a geography that is too far from a major cancer center—but all patients have the right to demand the best care, the most up-to-date treatment, and to demand that their doctors advocate on their behalf—be it with hospital policy or with an insurance company that frequently puts profits over patients. Roughly 20% of people who use immunotherapy for liver cancer are materially helped and sometimes cured. That number might be even greater if the treatment was used earlier. Continuing with a play book that says fail first and be at death’s door until we have all the empirical evidence via clinical trials to justify use of immunotherapy earlier in the cancer treatment process is difficult for me to accept. As an advocate I will continue to partner with my clients’ oncologists to challenge the system and get them earlier access to potentially life-saving care. I’m not as evolved as Lane, for I am angry that we lost her when it possibly could have been prevented or, at minimum, delayed without compromising her quality of life. I miss her sweet voice, our wheelchair excursions through airports, finding a restaurant that could deliver pasta with red sauce at all hours, her emoji-filled emails and texts and the forever search for her beloved Dasani water to keep the dreadful edema down. Lane, or Langel as I often called her, is my new spiritual partner to aid in the fight for what I call "the good stuff" and my commitment to "jumping fences" to get it sooner for my clients. We owe this to ourselves, our family, and, in my case, to all the Lanes out there. AnnMarie McIlwain is the CEO of PatientAdvocators.com. A certified oncology patient navigator, AnnMarie brings over 25 years of experience in the healthcare field where she worked as a senior marketing executive for several major pharmaceutical companies including Johnson & Johnson. Understanding Your Health Insurance Coverage: Get What You Paid For!